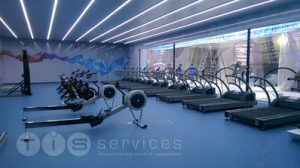 One of the most prestigious projects we have undertaken, quite possibly the largest bespoke extreme indoor training suites built to date, located in the United Arab Emirates the twin chambers are fitted to the highest specification. and walls. Both chambers incorporate the latest TISS control technology. Never before has it been possible to train at the extreme conditions whilst in the height of luxury. 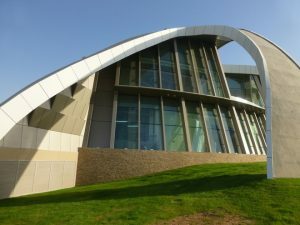 This elite facility containing two chambers built on separate floors is enormous in comparison to the normal indoor simulated facilities. With remote accessed bespoke control system’s the operating range and performance have not been achieved before on such a scale. Both chambers are able to simulate almost any climate experienced on the planet, from Death Valley California to the summit of Mount Everest at the touch of a button. The extreme chamber features a 18 x 3.1mtr unique heated triple glazed window, bespoke inset / flush heated doors. 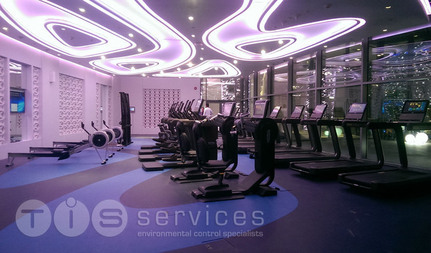 Specialised high volume ASU’s and LED downlighting strips designed by our long term partners. With variable wind chill and control ranges -27 to +55°C, 6 to 98% RH, full altitude simulation sea level to the summit of Mount Everest 8848Mtrs, this elite suite can simulate almost anything on planet earth. The first floor altitude suite offers an identical quality finish with a reduced operating range, +12 to 40°C, 6 to 65% RH with maximum altitude control again to the summit of Everest. Both chambers are fully equipped and provide a Superlative experience. “Throughout the re development of the chamber, TISS have offered high quality solutions with realistic advice of what was possible at the prices we could afford. Our chamber delivers integrated control of temperature, humidity and simulated altitude and is in almost constant use so the fact that it is reliable and robust is important.